Slingshot: This new ride does as the name says. Two passengers are slingshotted 50 meters into the air. Price: 20,000 won per person. The reservation deposit is 3,000 won. 17,000 won is due at the site. 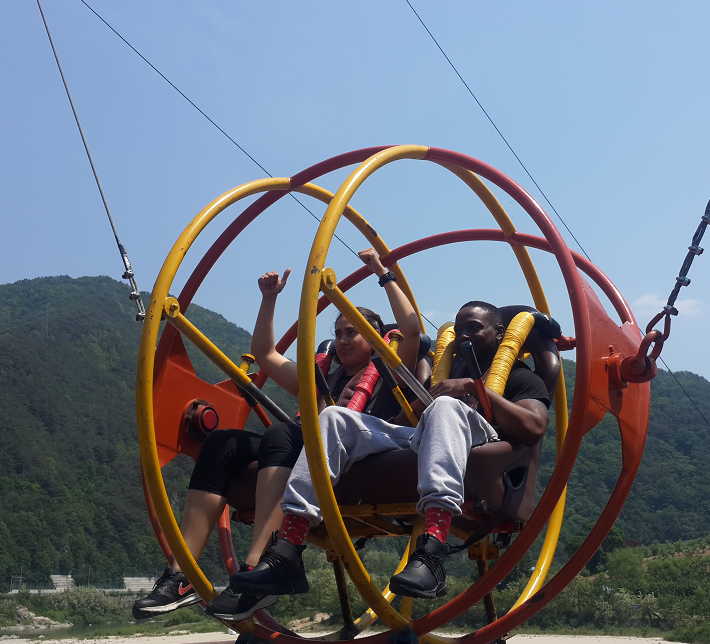 Other activities: You can also book rock climbing, ATV riding, bungee jumping, rafting, and paintball by clicking the "book now" button.